The Stroke Me Dungadress from Jawbreaker is a cute denim dungaree dress with adjustable straps. 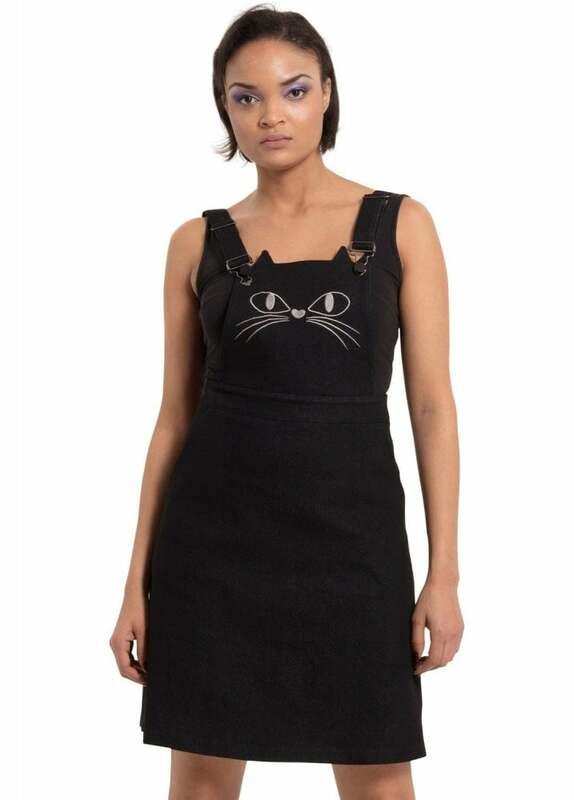 The kawaii pinafore dress has an embroidered kitty front, square open back and side pockets. With a cute collared tee underneath to complete your look.